Venue: P107, FICT, UTAR Kampar Campus, Perak. Global oil and gas industry has a bright future even in the backdrop of uncertainty and volatility in the market. There is everlasting need of energy demand in the light of prosperity and industrialism. 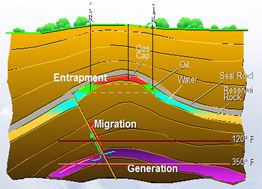 The oil and gas follows a Petroleum System where the oil is generated from organic matter, migrates to the structure where is trapped inside a reservoir. Seismic imaging is the most important and crucial step in recovering the geology with hydrocarbon (See Fig 1) from the seismic response. This talk deals with generating a wave that is send and interacts with the geology to produce a response. This response is recorded by detectors on the surface. Seismic wave propagation is then imaged to produce a structural profile that could be visualized in 3D. Deva Ghosh obtained his Ph.D. (1970) from Delft University, the Netherlands. He worked at Banaras Hindu University as Associate Professor in Geophysics for about 8 years. He worked in Shell from 1974-1999 holding various technological and management positions. He later joined PETRONAS in 2000 and was responsible for research, development, and application of geophysical technology worldwide. In 2011, he joined the University wing of PETRONAS (UTP) as Professor in Geophysics and currently responsible as Head of Center of excellence in Subsurface Seismic Imaging & Hydrocarbon Prediction (CSI). He is passionate about geophysics, about developing local staff, and transfer of technology. His field of Interest is in Seismic Imaging, Seismic Attributes and Hydrocarbon prediction. He is a member of AAPG, SPE, EAGE and SEG, and a former editor of EAGE. 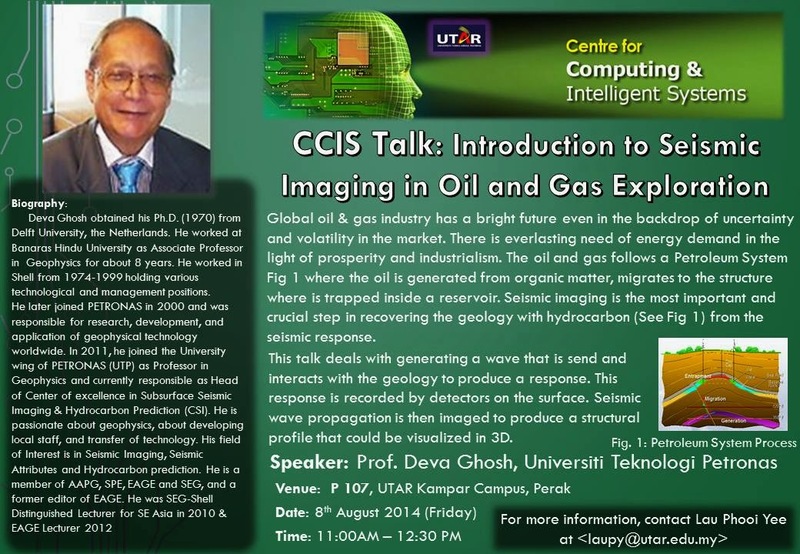 He was SEG-Shell Distinguished Lecturer for SE Asia in 2010 & EAGE Lecturer 2012.